The November 6 general election is a week from Tuesday. Early voting has already begun in many states. Do you know where your candidates for federal office and the governor’s office stand on abortion? If not, you not only should but you must! 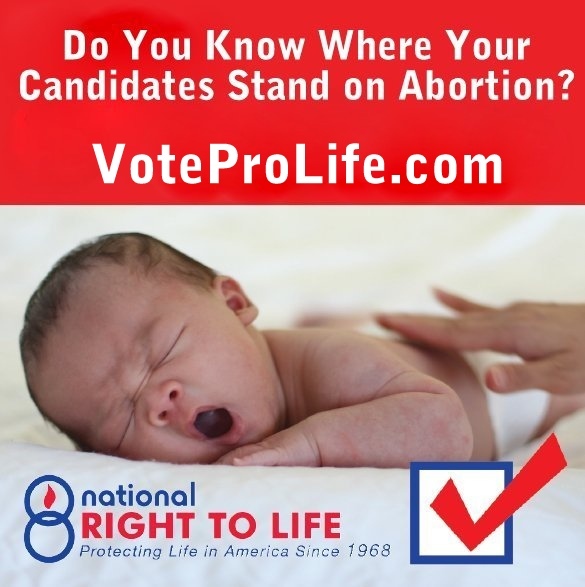 Before you vote, be sure to go to voteprolife.com and click on the menu “Pro-Life Candidates.” Click on your state for a downloadable list of pro-life gubernatorial and federal candidates. The stakes are enormous! Each day 3,000 preborn babies die by abortion in the United States. They need your voice and your vote. Make every vote count for the babies. They can’t vote, but you can. Please encourage your pro-life friends and family to do the same. Share this on social media and even email.